You can design and order your own coffee package for memorable moments in Paulig’s new service. Paulig My Coffee invites you to become the graphic artist of your life and test the easy-to-use design tool. Paulig participates in consumers parties and everyday life by creating memorable experiences and meaningful coffee moments. In the new My Coffee service in the Paulig Shop online store you can design your own coffee label from start to finish with your own photos and text. This online tool for designing coffee lables is unique because of it’s user friendly interface and Augmented Reality functions. 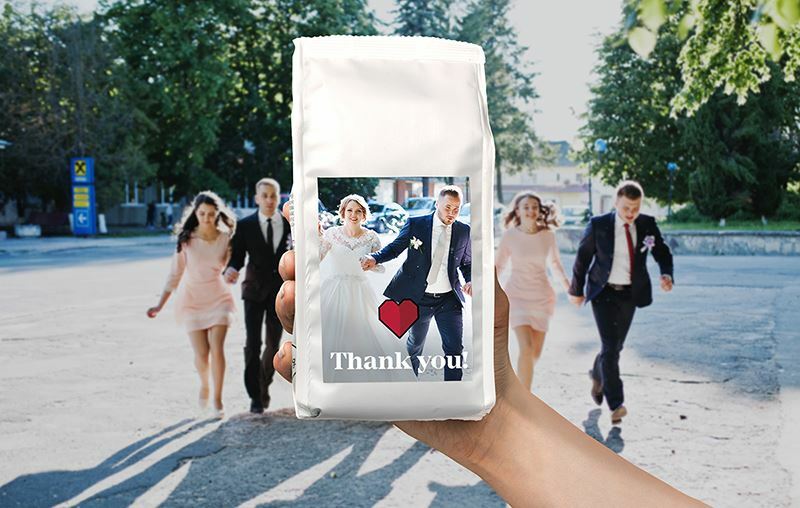 “Weddings, bachelor parties, birthdays, tournament victories and milestones can be celebrated in a unique and personal way by designing a personalised coffee package for the event. For example, one way to utilise personalised coffees is to use them as an invitation to an event or as a thank-you present. Companies and other associations can give presents with their own brand or image to partners. The possibilities to use personalised coffee packages are limitless,” says Marketing Specialist Maria Väisänen from Paulig. Everyone can easily create their own coffee label to the packge with the My Coffee tool. At the moment the delivery is only available to Finland. Coffee is roasted and hand packaged at the Paulig roastery in Porvoo. There are two coffee options. The user can choose sustainably produced light or dark roasted coffee. Light roasted coffee is a blend from best of Latin American coffees like Guatemala, Colombia and Costa Rica that create a harmonious coffee blend sweetened by smooth Brazilian coffees with delicious notes of toffee (roast level 2.5). The sweetness of the dark roasted version derives from Brazilian coffee beans. Nuances of Colombian coffee and aromatic Kenyan coffee mixed with a pinch of Central American ’pearl’ from Guatemala create a perfect and elegant taste journey. The aftertaste of this coffee is full of dreamy and delightful notes of dark cocoa (roast level 4). “Consumers are interested in individualised products. We wanted to make personalised coffee and easy design available to everyone online,” says Väisänen.